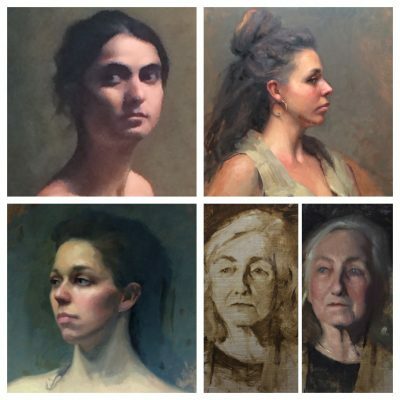 Working in one of the most enjoyable and satisfying genres of painting, we will learn traditional oil painting techniques for capturing a likeness, mood, and character. working from a live model. This class is perfect for beginners, but also offers a supportive environment for more experienced painters to hone their skills. Jay and Naomi trained in the acclaimed Angel Academy, Florence. Please visit their profile page on our web site for more information on our instructors.